Kung fu with Braudel: Revolution vs. rebellion? Jet Li, Takeshi Kaneshiro and Andy Lau in Warlords (2007), set amidst the Taiping Rebellion. "Of all the nations that have attained a degree of civilisation, the Chinese are the least revolutionary and the most rebellious." Thomas Taylor Meadows, The Chinese and their Rebellions, Viewed in Connection with their National Philosophy, Ethics, Legislation and Administrations (London, 1855), 25. Meadows had been British consul to China, and his strange book is largely a proposal that the Chinese imperial examinations should serve as a model for creating a meritocratic civil service for Britain. For Meadows the long stability of the form of the Chinese imperial state (in spite of changing dynasties) was due largely to the creation of the class of scholar-bureaucrats which the examinations fostered. His statement above, however, is of interest to me since it might prompt some of the problems which would dog an understanding of kung fu cinema as a cinema with something to say to revolutionaries. Might we not say the same thing about these films as Meadows does about China: that they are the apotheosis of rebellion, but that they are not the least bit revolutionary? But Meadows's book is brought up here as a place where contradictions and problems might gravitate to the point of hyperdensity at which they go supernova. Meadows's statement, after all, hits us with the historical equivalent of dramatic irony. How could one say such a thing about the land that gave us Mao, and exported Marxist guerilla insurgency not only across Asia but also the world? Since Meadows wrote, where has been more revolutionary than China, that great idol of the revolts of 1968? To make such a statement as Meadows nowadays would seem at the very least to require a rather complex redefinition of what counts as radical or revolutionary. (Mao as a kind of a latter-day Confucian…) But I would argue that the question of what counts as properly radical is, in any case, something that needs to be made problematic. "Revolution is a change in the form of government and of the principles on which it rests: it does not necessarily imply a change of rulers. Rebellion is a rising against the rulers which, far from necessarily aiming at a change of governmental principles and forms, often originates in a desire of preserving them intact. Revolutionary movements are against principles; rebellions against men" (25). In the light of such criteria, at first glance there is a lot of common sense in Meadows's assessment, even if China was, as he was writing, undergoing one of the biggest and most awful civil wars that history has given us: the Taiping Rebellion in which at least 20 million people lost their lives. From an English perspective, in 1855, and in contrast to the European upheavals of the previous decade, with all the radical theory that fuelled these – this is the decade, after all, in which the Communist Manifesto was written – China's turmoil might have seemed rather backward, and lacking in the genuine revolutionary impetus of the thoroughgoing critiques proposed by Marx and the like. Hong Xiquan (in spite of his millennial theology) could easily be imagined by Westerners as simply a man who intended to set himself up as an alternative Emperor in the stead of the Qing dynasty, and who would be expected to rule in just the same way that they, and the dynasties of the preceding two thousand years, had always done. With the image of dancing tables – it also figures in a footnote to Chapter 1 of Capital – Marx is referring to the craze in the 1850s for seances, nicknamed at the time "table turning," an enthusiasm he suggested was a substitute for rebellion, emerging in the context of the blocked desires created by the defeat of the 1848 uprisings. Chiming with such spinning tables, the 'revolutionising' of China in the Taiping uprising becomes an empty rotational spectacle, rather than any meaningful turning of history's wheels, and the European fascination with the phenomenon is, like that of the occult, a mere pathological symptom of the impossibility of real rebellion at home. But Marx's and Meadows's judgements alike are coloured by an orientalism which – as Daniel Little notes in an interesting blog post on Marx and the Taiping – imagines the East as eternal and the West as the locus solus of historical change. Little notes that Marx's usual acuity with regard to class is missing in his discussions of China, and any proper examination of the Taiping movement – its social programme, for example, or the reasons why a peasantry flocked to it – are foreclosed, and that recent scholarship has done much to complexify such a vision of the Taiping as merely aiming to replace one Emperor with another. In this regard, and especially in the light of the nationalist and communist revolutions of the twentieth century, China's history might start to look much more revolutionary than merely rebellious. Were the peasant revolts that echoed through its histories, from the "yellow turbans" of 184-205 AD that ended the rule of the Han dynasty to the Boxer Rebellion at the dawn of the twentieth century, only about restoring and rejuvenating the order of the status quo, or can they be seen as involving radical social projects? The yellow turbans, famously, were a Taoist sect which espoused equal rights and equal distribution of land. (Terry Kleeman, in his book Great Perfection has documented a similar utopian and millennial Taoist sect which held out as a separate state across much of present-day Sichuan for over half a century in the tumultuous fourth century AD.) As Little notes, whilst Marx and Meadows saw nothing truly revolutionary in the Taipings, for Mao they figured as heroic forebears engaged in a proto-communist endeavour. The historical ironies that surround Meadows's remarks, then, as they are visible from this end of the twentieth century, point to a certain problematic which was already in place at the time they were written. The attractive neatness of the formula has the hallmark of a simplification through which history is made malleable to ideological manipulation. The easy dichotomy between rebellion and revolution hides a surreptitious set of distinctions between what is or is not "essential" or "fundamental" in change (and what are merely superficial alterations); and, we might add, recent scholarship would suggest that the judgment about these things may well be much more culturally and historically relative than either Marx or Meadows imagined when they were writing. Raising this, of course, at the current early stage in proceedings of this research, is more to lay out a question than provide an answer as to how we might deconstruct or dialecticise this pair of terms, how they might play out in Chinese history, and how the impetus for 'rebellion' and 'revolution' may be at stake in martial art films. This is all work to be done. The usual assumption (as I note above) would tend to be that martial arts movies are only "rebellious" (seen as a bad, watered-down, unproductive thing, mere table-turning, if you like, spectacle and not substance) rather than in any sense being truly "revolutionary" (in the sense of opening on to "real change"). There are, of course exceptions: Vijay Prashad and M.T. Kato both find in Bruce Lee an authentic revolutionary hero – Kato even talks about a kung fu "cultural revolution". 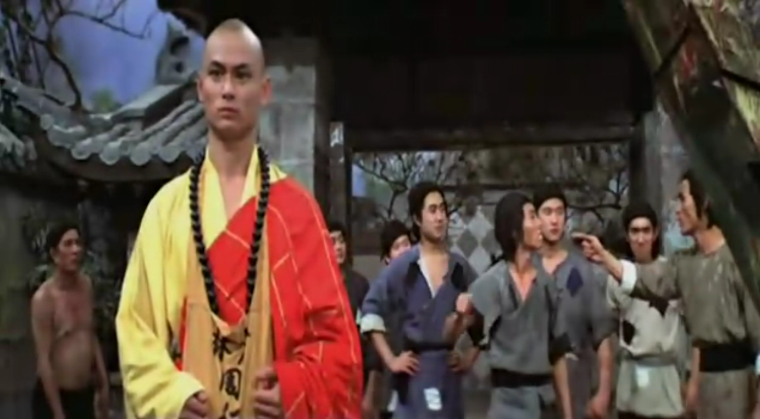 But in these, just as in the case of those who think that martial arts films never amount more than pseudo-revolutionary posturing, there is the mobilisation of this pair of terms to come to a judgment about the political meaning of the kung fu genre or its particular films and stars. Of course, there are wider stakes too. The discourses of or around "popular culture" and its value more generally have revolved around this point of whether it has seeds of revolutionary (real, fundamental, meaningful) change, or whether it only involves those surface novelties which allow capitalism to remain, under the surface, always the same. (If some might view martial arts films as all rebellion and no revolution, this is only because this is an attitude generally taken up towards popular culture more generally.) These issues, then, lay at the heart of the discipline of Cultural Studies (and its debates with its opponents on the left), and more generally around the New Left movement from which it emerged, as it tried to rethink a radical but more 'democratic' politics in the face of existing totalitarian socialisms. It also haunts the current returns (in Zizek and others, for example) to a position which sees in the New Left (and its investments in the popular) suspiciously liberal traits.